Accurid Pest Solutions Inc. is a full service pest, termite & moisture control company committed to IMPRESSING our clients, our teammates, our community & our service partners. Our certified & devoted staff will handle all of your commercial, residential, general pest, termite, & structural repair with a proactive & solution based technology that is bound to IMPRESS you. Accurid Pest Solutions Inc. with its Main office in Chesapeake Virginia is positioned to be one of the fastest growing privately owned pest control companies in Southeastern Virginia. Head quartered in Chesapeake Virginia we also have satellite offices in Yorktown, Norfolk, Virginia Beach, Portsmouth & Franklin; & we are eager to serve the Peninsula & the Hampton Roads community. Whether you are being bugged by bedbugs, ants or termites “GET RID”, being pestered by roaches, rodents or spiders, “GET RID” being attacked by wasps, fleas or ticks. Accurid Pest Solutions Inc. provides its technicians with ongoing training in all the newest pest control technology to handle all of your pest control needs. One Time Service or Ongoing Maintenance, we have a pest program that fits your need. Below are a few reasons why thousands of businesses & homeowners have chosen Accurid Pest Solutions Inc. to solve their pest, termite, moisture & structural repair issues. 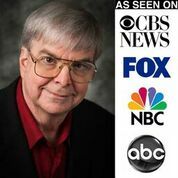 ONGOING TRAINING – Our leadership has trained directly under the world renowned industry leading entomologist Theodore H. Cooper; founder of a top 100 pest control company, leading industry researcher & inventor of the bed bug encasement. Our technical professionals undergo training on a weekly basis covering the latest in industry technology, use & application, Integrated Pest Management & regulations governing them all. SERVICE REPORTS – Service reports are detailed documentation of your service technician’s findings, recommendations & treatments provided. 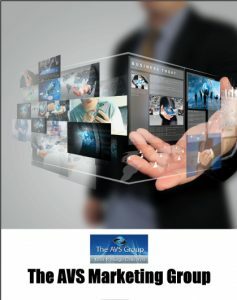 This professional & comprehensive report is provided at the end of each service call. PERSONAL TECHNICIAN – Your business or residence will be assigned one of Accurid Pest Solutions Inc. Professional Certified Service Technicians. With the consistency of having the same technician service your business or residence you have the confidence that someone truly knows the issues concerning your property & its pests. PROMPT SERVICE – We believe that pests have no place in your work place or residence and that’s we will answer & dispatch your personal technician to you within 24Hrs of your call. We treat every call as an emergency call & we handle each business or residence with the same level of concern, this is all in our effort to WOW you. As Accurid Pest Solutions Inc. enters into our 10th Year of business in Southeastern Virginia, we say “Thank You” to the Peninsula, Hampton Roads, Franklin & all surrounding cities for your continued support. We continue our pledge to you to provide the highest level of innovative pest control service while utilizing the latest advances in technology inorder to provide you with an exceptional quality of life. 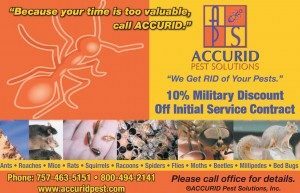 *Accurid Pest Solutions LLC is an equal opportunity employer. Accurid maintains a drug free workplace.